In February I wrote about an Arnolt Bristol that was for sale on eBay. Another one just showed up on eBay. This one is in even nicer condition than the one I featured in February. You can read what I wrote about "Wacky" Arnolt and his car by clicking here. But better yet, just go to the eBay listing, read what the seller wrote and look at all the high quality pictures of this beautiful old car. 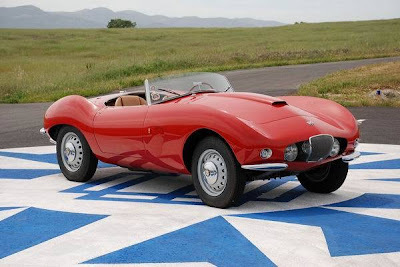 Click here to see the eBay listing for this 1956 Arnolt Bristol.